Heirloom carrot roses on a hazelnut crust 💚 – Mums! My first dish for the Food Blog Challenge organized by Foodblogs Schweiz is a tasty pie consisting of a really short hazelnut crust filled with creamy goat cheese and topped with roses of naturally sweet heirloom carrots. Start with the crust. Cream 200 g butter. Add 2 egg yolks, 1 tsp salt and 1 tsp dried thyme. Quickly fold in 200 ml ground hazelnuts and 200 ml whole-wheat flour. Transfer the dough into four greased portion tart pans with removable bottoms. Dip your fingers in water and press the dough evenly into the bottom and up the sides of the pan. Blind bake for 10 minutes at 180°C. For the filling, mix 150 g goat cream cheese with 200 ml cream and 2 eggs. Pour into the blind baked crusts and bake for another 15 minutes at 180°C. Allow to cool somewhat. In the meantime, prepare the roses. Thinly slice peeled heirloom carrots lengthwise with a mandoline. Taste the slices with salt and steam them for 10 minutes. If you’re using carrots of different colors, steam them separately. Roll into roses and carefully place them on top of the goat cheese filling. Decorate with fresh thyme. 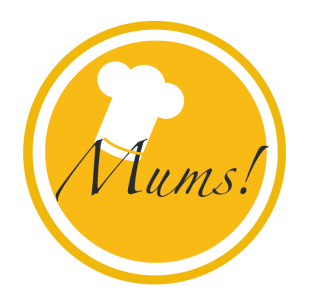 Pingback: Food Blog Challenge – Mums! These are really amazingly designed! Pingback: Pickled chard and rhubarb with wild garlic coated Vacherin Mont-d’Or and fried wild garlic bulbs 💚 – Mums!